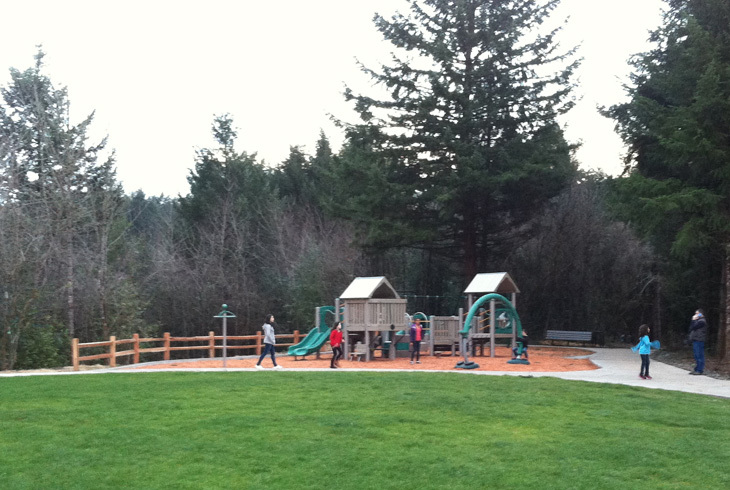 This 14-acre park is located in the Cedar Mill neighborhood, near the intersection of NW Cornell Rd. and NW Miller Rd. 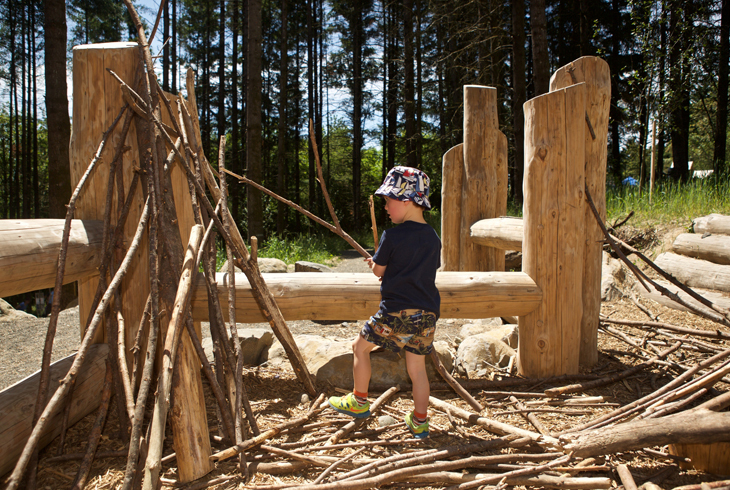 Named for its previous owner, the park site was donated to THPRD by his family. 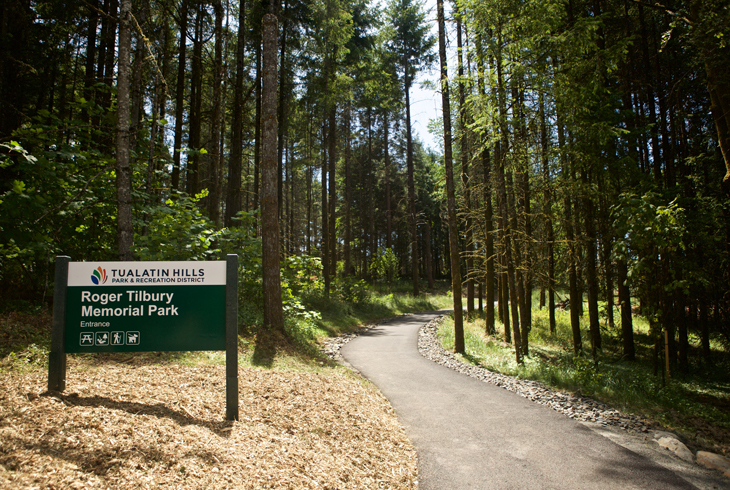 Once an undeveloped wooded natural area surrounding Johnson Creek, Roger Tilbury Memorial Park was developed with funds made available to the district by passage of the 2008 bond measure. 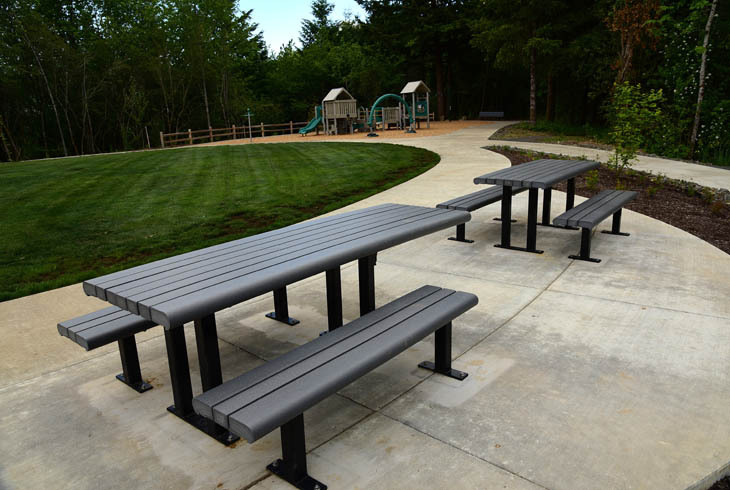 It opened in 2014 with a network of paved and gravel trails, an overlook, a picnic area, and a playground. 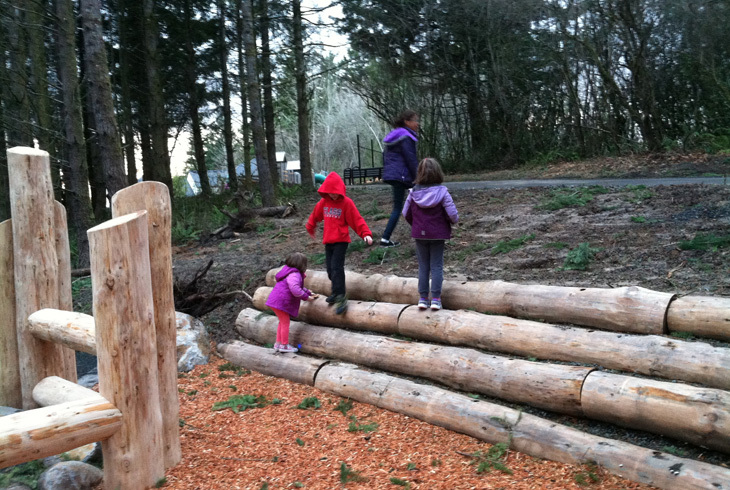 Tilbury also joins the growing list of THPRD parks with nature play; several play area features are in place to get kids moving, using their imaginations, and connecting with nature in an unstructured manner. 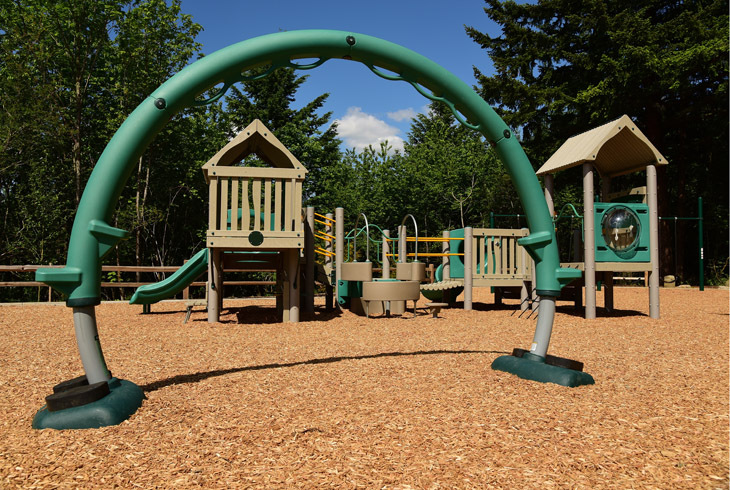 Future development plans include construction of a bridge over N. Johnson Creek, additional soft and paved trails, a creek overlook and a neighborhood connection to NW 94th Terrace. Natural area restoration, in progress, will replace invasive species with native trees and shrubs. Neighborhood access can be found at the end of NW Arborview Dr. and NW 93rd Ave.